This is a convenient option for busy people who want to earn their open water classroom and pool requirements over just one weekend. This class takes place over a Friday Evening (6:00p-9:00p) and Saturday (morning and afternoon) and Sunday (morning and afternoon). Call to schedule your personal orientation. During your orientation we will discuss what you can expect from this exciting experience! We will look at class schedules and select the most convenient options for you. 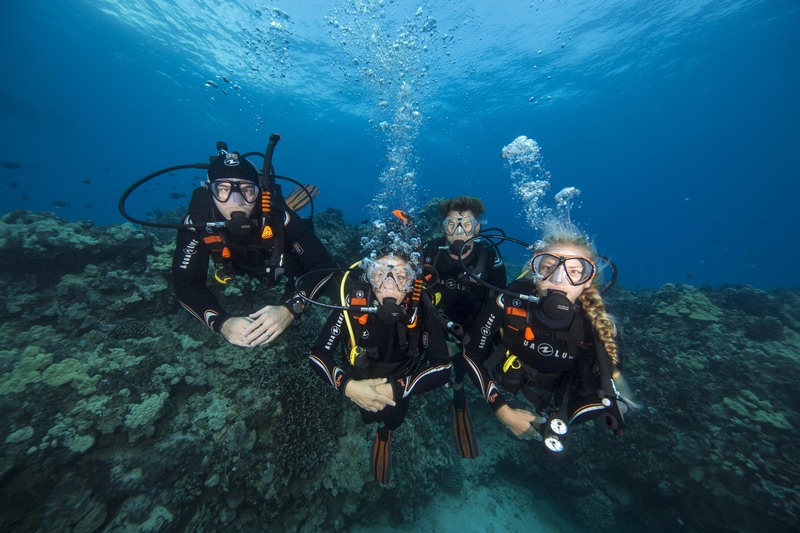 We will also go over the materials and equipment you will need when learning to Scuba Dive.